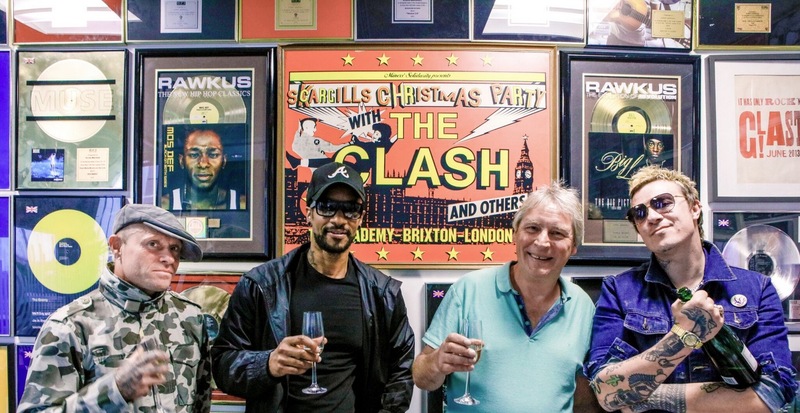 Pictured: The Prodigy members Keef Flint, Maxim and Liam Howlett with BMG UK EVP Music Korda Marshall. MBW can exclusively reveal that The Prodigy have signed a worldwide record deal with BMG, and will release their first album in three years in early 2018. The album – issued on the band’s Take Me To The Hospital label via Bertelsmann-owned BMG – will be preceded by a single later this year. BMG says that ‘a sustained burst of activity’ from the band will follow through 2018 and beyond. BMG already publishes Liam Howlett’s entire song catalogue. The Prodigy’s last album, The Day Is My Enemy, reached No.1 in the UK in 2015, making it their sixth album to hit that position in their home territory. It also charted Top 10 throughout Europe and Australia and at No.2 on Billboard’s Top Dance/Electronic Albums chart. Its predecessor, 2009’s Invaders Must Die, sold more than a million copies worldwide. The Prodigy are one of those bands who define an entire sound and can justifiably claim to be among the architects of contemporary music. BMG UK EVP Music Korda Marshall said, “The Prodigy are one of those bands who define an entire sound and can justifiably claim to be among the architects of contemporary music. The Prodigy’s Top 5 tracks on Spotify – including XL-signed hits such as Breathe, Voodoo People and Firestarter – have accrued more than 130m streams between them. Liam is a genius, he and the band have a lot of fans in this building and we love working with him. BMG President Repertoire & Marketing Alexi Cory-Smith said: “Four years ago we signed a deal to represent Liam’s publishing and the relationship is a successful and enjoyable one. BMG’s current recorded music priorities include Morrissey’s new album, Low In High School, which is due for global release on November 17.